Barbie has had an awesome year. Turning 50 (and looking dewy fresh), getting her own runway show at Mercedes-Benz Fashion Week, and now a set of custom wheels from VW. So tell me, is driving this set of wheels fashionable or laughable? 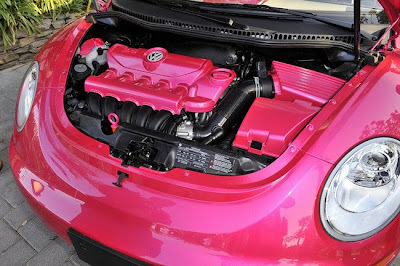 As a concept car I think it is adorable. 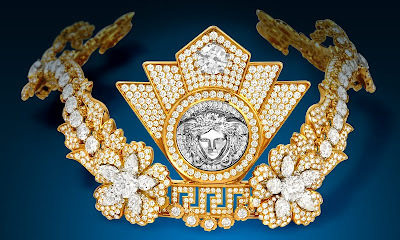 Versace Tiara: Does this make me look rich? Looking to diversify? Diamonds are a girl’s best friend, especially when fashioned into a tiara by the likes of Gianni Versace, and previously worn by Madonna. This item of conspicuous consumption is estimated value at $3M, and goes up for auction March 23rd at 9am PST. Bid early, bid often. And do tell where you would wear it. 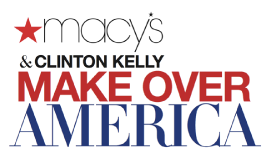 Clinton Kelly continues his reign with Macy*s, embarking on a 15 city tour across America, beautifying as he goes! Enter now for a chance at a complete makeover – hair, makeup, clothing. In the end you’ll be able to show off your new look during a runway show. Clinton will be on The View tomorrow, March 3rd, to share more. Why are you still reading? You’ve got a jump on the competition for entry.